A private investor has secured a 4,200sqm footprint on the renowned ‘golden mile’ in Melbourne’s east for $10.7 million. 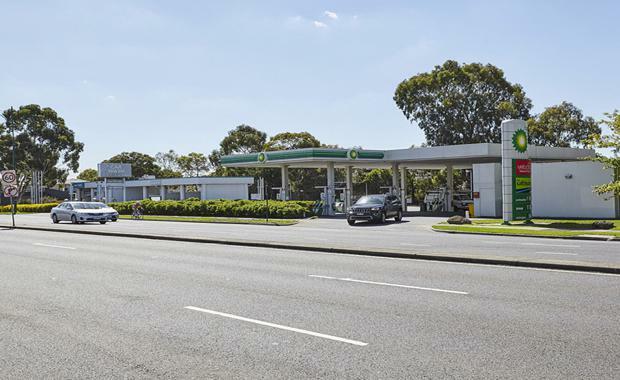 CBRE’s Justin Dowers, Lewis Tong, Joseph Du Rieu and Kevin Tong led the sales campaign for the BP Blackburn at 233-243 Whitehorse Road, which was sold under the hammer following a highly competitive on-site auction. The property offered a 7.6 year WALE with further options on the BP lease until 2042, providing a long term investment proposition. The sale, which attracted more than 130 enquiries and eight competitive bidders, reflected an initial yield of 3.6 per cent and benchmark land rate of $2,547 per square metre. Mr Dowers said the sale was testament to the demand from buyers competing for strategic investment properties with long term lease covenants. “With much conjecture in the first two months of the year as to the state of the equities market and what is happening around Chinese investment, the auction of BP Blackburn has crystalised the buyer market’s intention of acquiring Victorian commercial real estate in 2016, specifically well leased retail investments,” Mr Dowers explained.